The Durango is the perfect ride for families that like to live on the edge! This comfortable and roomy three-row SUV can haul and tow with the best of them thanks to the outstanding powertrain lineup available for the 2019 model year. The kiddos will love all the available technology from smartphone integration so they can jam to their playlists to the rear seat entertainment system that will keep them from constantly asking "are we there yet?"! We have so many more incredible things to tell you about because this SUV is just so good! Keep reading down below to learn about it all! Can you highlight some of the trim levels and features? There are five Durango trim levels offered for the 2019 model year. They range from the base SXT to the highest trim known as the SRT. The amount of standard features offered for the 2019 model year is mind-blowing! They include a third-row seat with power-folding headrests, a rearview camera, 18-inch alloy wheels, Apple CarPlay/Android Auto, keyless entry and ignition, Bluetooth, load-leveling rear suspension, three-zone climate control, a six-speaker sound system, cloth upholstery, fog lights, 7-inch touchscreen, and two USB ports. If you choose to go with a higher trim level you will find features like remote engine ignition, navigation, an 8.4-inch touchscreen, premium sound systems, upgraded brakes, enhanced steering system, roof rails, automatic high beams, driver assistance features, and so much more! The performance geared SRT model offers features like an electronically controlled limited-slip differential, Brembo brakes, a high-performance adaptive suspension, and SRT performance pages. What kind of engine options does the Durango offer? The powertrain lineup offered in 2019 is nothing short of incredible! The entry-level engine is the award-winning Pentastar that is utilized throughout the CDJR family. This 3.6L V6 engine pumps out 260 pound-feet of torque and 295 hp. The next engine offered, a 5.7L V8, generates a stupendous 390 pound-feet of torque and 360 hp. You'll find this engine powering the R/T model and it's available as an option for the Citadel model as well. The final engine a powerful 6.4L V8 that pumps out 470 pound-feet of torque and 475 hp takes its place under the hood of all SRT models for a thrilling ride! Dodge mates all engine options with a smooth-operating eight-speed automatic transmission. Front-wheel drive is the standard drivetrain offered for the Durango, all-wheel drive is offered for all models except the SRT where all-wheel drive is the standard configuration. Is the 2019 Durango a safe SUV for my family? 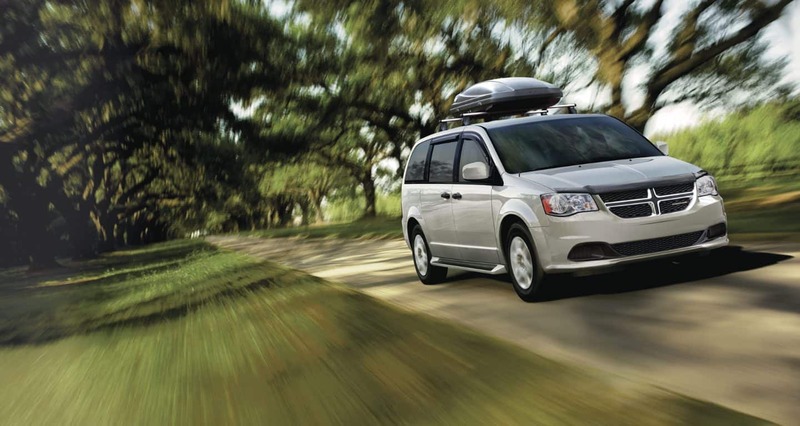 Protecting your family from road hazards and collisions is a top priority and Dodge understands that. This is the very reason that the Durango offers over sixty standard and available safety features to grant you peace of mind and confidence behind the wheel. Throughout the cabin, there are seven standard airbags installed to keep passengers in their place in the event of a collision. Features like Uconnect Acces with 911 and roadside assistance, Blind-spot Monitoring with Rear Cross Path Detection, Adaptive Cruise Control with Stop, and Forward Collision Warning with crash mitigation are available to help you avoid those collisions while carpooling or taking on new adventures! This bodyguard of an SUV also offers standard features like active head restraints, hill start assist, Keyless Go, the LATCH system for child safety seats, a rearview camera, and so much more! The 2019 Dodge Durango is ready to take your family on new adventures with ease thanks to awesome features from modern technology to advanced safety. 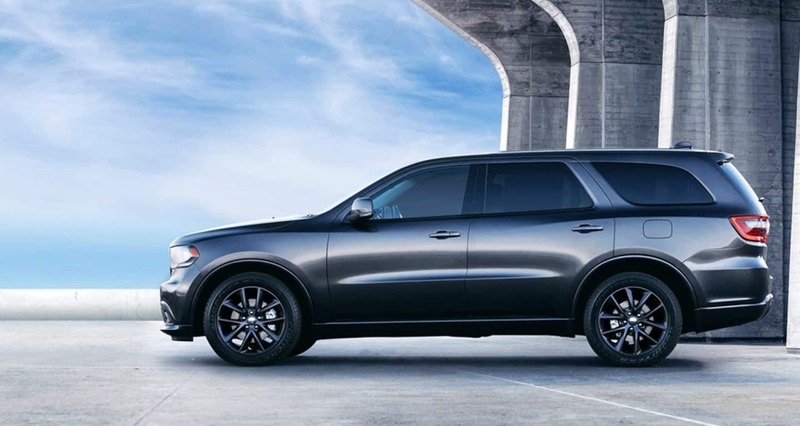 Would you like to learn more about the Dodge Durango? You can fill out the contact form provided below or reach out to our sales department over the phone at (210) 904-3981. Come visit the sales team in person and they give you a tour of the Durango and take you our for a test drive so you can feel the power this SUV provides for yourself!